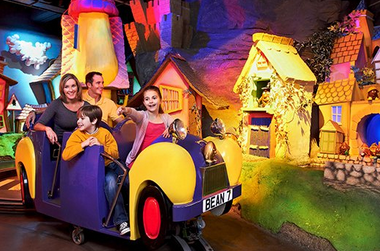 Enjoy a little trip this summer with entry to Cadbury’s World included in the price. There are various options available with this great deal from Travel Bird, choose from with date right through the summer holidays. Enjoy an unforgettable family break in the West Midlands with a one night stay in an excellent hotel with tickets to the incredible Cadbury World. Birmingham’s vibrant city centre is just a mile away from the charming and delightful Plough and Harrow Hotel. This fantastic offer also includes breakfast! Discover the magical and delicious world of Cadbury chocolate with a complimentary tickets to Cadbury World! This incredible experience is made up of 14 amazing zones, each one packed with fun for all the family (The purple zone is closed in winter). Learn about the origins of chocolate, play in chocolate rain, ride a Beanmobile through a chocolate wonderland, let the kids run wild in the African Adventure Play Area and more. There is also a brand new 4D Chocolate Adventure to sink your teeth into! This one of a kind day out is much more than your standard factory tour and is guaranteed to go down well with the whole family. Hiya trying to book a room for family of 4 2 adults to child but will only let me add 2 adults 1 child can u help please thank u. Is this deal just for family’s or can two adults just go?